"…provides state-of-the art thinking on the theory and practice of measurement…"
"Wilson provides a conceptually accessible overview of modern psychometric models, especially the Rasch model….this book may provide a strong foundation for a basic understanding of the Rasch model…"
"…This is a great resource for learning about measurement. Even an experienced researcher will benefit from the coherent and logical model based on the 4 building blocks." "…I would recommend it for our entry level testing course….I/O psychologists would also find this book interesting." 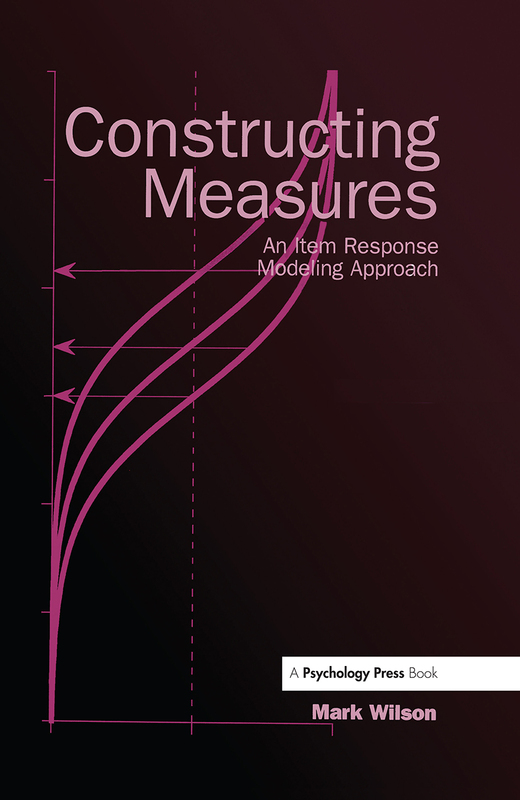 Contents: Part I: A Constructive Approach to Measurement. Construct Modeling: The "4 Building Blocks" Approach. Part II: The Four Building Blocks. Construct Maps. The Items Design. The Outcome Space. The Measurement Model. Part III: Quality Control Methods. Choosing and Evaluating a Measurement Model. Reliability. Validity. Part IV: A Beginning Rather Than a Conclusion. Next Steps in Measuring. Appendices: The Cases Archive. GradeMap.